Why would I need self storage in Mahopac, NY? There are a variety of reasons why you might need self-storage in Mahopac, NY. How much is a storage unit in Mahopac, NY? The cheapest storage unit in Mahopac, NY is $72.00 per month. What size storage units do you have available in Mahopac, NY? In Mahopac, NY we have sizes that range from 5'x5' to 10'x30' to suit your storage needs. How much is it for a 5'x5' storage unit in Mahopac, NY? The cheapest 5'x5' storage unit in Mahopac, NY is $72.00 per month. Mahopac is a small hamlet within the town of Carmel, on the border of Putnam and Westchester counties. The community's name comes from the Algonquin word that translates to bear flats, though many locals differ about the pronunciation of Mahopac. Less than 50 miles north of New York City, Mahopac is a suburban community that tends to attract those looking for a quiet retreat from city life. Originally owned by the Wappinger tribe, the Mahopac area was sold to Dutch traders in the late 17th century. By the early 18th century, new settlers began to populate the Putnam County area, and by the late 18th century, the town of Carmel was officially established. 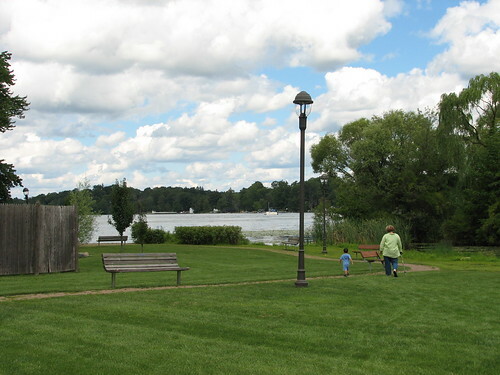 Long celebrated as a vacation destination, Mahopac's namesake lake has attracted visitors for centuries. By the mid-19th century, cottages and hotels housed numerous vacationers, and the hamlet continues to draw crowds to the picturesque lake today. Mahopac maintains its small-town appeal, but it also boasts a strong local economy and easy access to big cities. Businesses of all kinds make their home in Mahopac and surrounding Putnam County. The county's largest employers include home improvement retailer The Home Depot, discount retailers Target and Walmart and grocery retailers ShopRite Supermarkets and Stop & Shop Supermarkets. Health care providers Vassar Brothers Medical Center, White Plains Hospital Association and Orange Regional Medical Center also provide thousands of jobs in the area, as does computer and electronics manufacturer IBM Corp. If you're beginning a job search in Mahopac, you're likely to find a number of jobs in the community's largest industries – trade and transportation, government, education and health services. Students in Mahopac enroll at the Mahopac Central School District. Mahopac High School has received extensive recognition for its highly successful sports teams, including wrestling, basketball and gymnastics. You'll also find a few private schools in and around Mahopac, serving students from preschool to 12th grade. Utilities: Mahopac is part of the water districts operated by the town of Carmel. The community's primary energy provider is New York State Electric and Gas Corp.
Garabage and Recycling: The town of Carmel will facilitate your trash collection services. There's an electronics recycling container in Mahopac. Transportation: The MTA facilitates public transportation in and around Mahopac. You'll find houses of all sizes and prices in Mahopac, which makes it easier to find your perfect home. The hamlet's priciest homes tend to be on the waterfront on Lake Mahopac and Kirk Lake, while more affordable homes are on the south and east sides of the hamlet. Rental options are less varied, but still available. Our lowest priced units in Mahopac, NY average $72.00 per month. 32 people have reserved units in Mahopac, NY in the past 30 days. There is 1 location within Mahopac, NY's city limits. There is 1 location in Mahopac, NY that offers AC and Heating features.